Mark A. 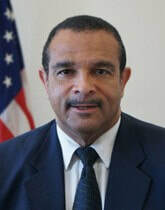 White, a career member of the Senior Foreign Service with the rank of Minister Counselor, is the USAID/India Mission Director. Mark has worked in over 30 countries across four continents and has received numerous awards and citations for his development work including a Meritorious Honor Award, the Award of Collaboration from the U.S. Navy/Seabees, the Department of Defense Medal of Recognition, the Franklin Award, the Presidential Gold Medal of Achievement, and a Special Achievement Award in Health. Mark has a Bachelor of Science degree from Xavier University, Louisiana and a Master’s in Public Health from the University of North Carolina, Chapel Hill.